Tax collections fell in June as the Trump tax cut continued to bite into federal revenues. The fall in tax collections, combined with the rise in spending stemming from the congressional budget-busting agreement signed by Trump, is causing an increase in the government's issuance of Treasury bills, notes, and bonds, month in and month out. That increase in supply puts downward pressure on bond prices and increases in interest rates and bond yields. It isn't obvious in the bond market at the moment, since the 10-year yield has traded in a tight range around the 2.80s. But short-term T-bill rates are soaring, with the 13-week bill hitting 2% last week. Meanwhile, increased debt-financed deficits have kept the U.S. economy running hot, but there are hints of slowing in current data. That's not supposed to happen. Tax cuts and deficit spending are supposed to stimulate spending. How the Fed Could Spark Even More Profits from This "Cashless Wonder"
On April 23, Chief Investment Strategist Keith Fitz-Gerald predicted the key outcome of the Fed's meeting yesterday. There's something special about today, April 19 - you see, today is as good as it gets for the stock market. I recently showed you that "Don't fight the Fed" is a mantra with extreme profit potential. Now I'm going to show you why it works so well. Despite heroic profits reported by two of the FANGs - Facebook, Inc. (Nasdaq: FB) and Amazon.com, Inc. (Nasdaq: AMZN) - stocks had a very rough week. The overall market is still very expensive and three of the four FANGs (other than Apple) remain in a bubble. Negative interest rates used to be a thing of central banking fiction. Now it looks like our Federal Reserve is considering negative interest rates, too. At a testimony before Congress on Feb. 10, U.S. Federal Reserve Chairwoman Janet Yellen said there was nothing to prevent the United States from adopting negative-interest-rate-policy (NIRP). NIRP signals a lack of confidence in an economy to investors. When the Fed turns to negative interest rates, it will encourage investors to exit stocks and stockpile their cash. Money Morning Resource Specialist Peter Krauth has the one perfect investment to protect your money against this disastrous monetary policy. 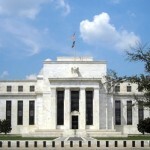 Most media tuned out once it became clear the U.S. Federal Reserve wouldn't act to raise interest rates in September. But in doing so, the media failed to report on some illuminating predictions from the Federal Open Market Committee's "dot plot" on where they think the Fed funds rate will be in the near, medium, and long term. What the media didn't tell you was that an FOMC member actually predicted a negative Fed funds rate - for the first time ever in Fed history. We're just hours away from Janet Yellen's 2:00 p.m. press conference, and investors are still in the dark on whether interest rates will rise following the Fed meeting today (Thursday). U.S. markets were flat this morning ahead of the Fed meeting, with the Dow Jones Industrial Average down six points in early trading. Fed interest rates are about to increase for the first time in nine years. U.S. Federal Reserve Chairwoman Janet Yellen had hinted for months that the central bank finally was ready to raise interest rates above zero for the first time since late 2008. Markets will react as new rates are decided, Money Morning Capital Wave Strategist Shah Gilani explained on Aug. 7. "Investors could panic. Because we're so close to all-time highs, any dip could turn into a sell-off as investors rush to book their paper profits."